Run The Jewels has been all over the place lately. In the past few months they’ve brought us an album made entirely of cat noises, a documentary theme song, and collaborations with Flosstradamus and Big Grams. Their latest release is a remix of Miike Snow’s “Heart Is Full”. The aggressive flows and outspoken lyricism of Killer Mike and El-P make “Heart Is Full” a showstopper. 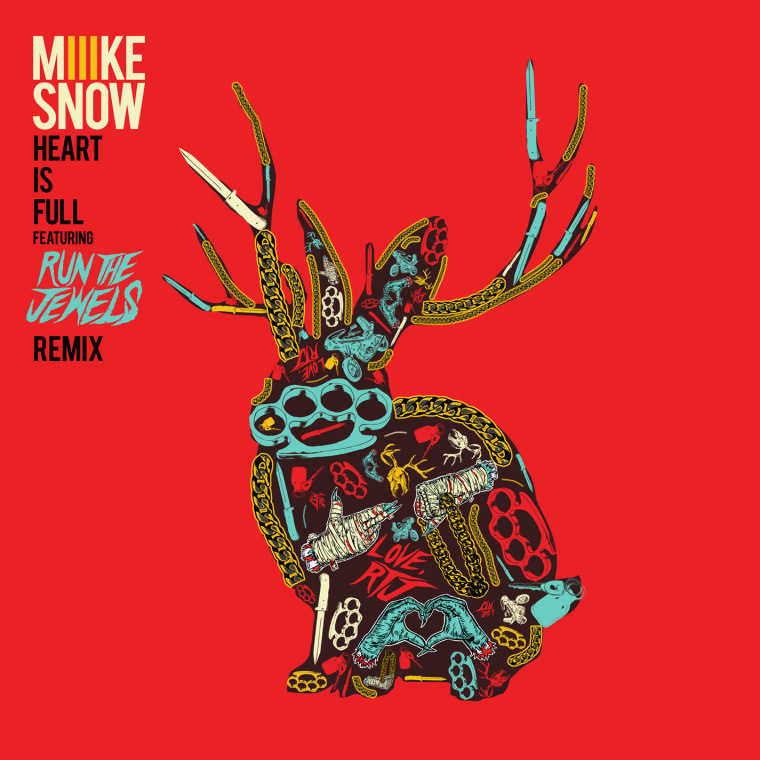 “Heart Is Full” premiered yesterday on Miike Snow’s SoundCloud, and is now available for streaming and purchase via Spotify, iTunes, and Amazon. Follow @runjewels on Twitter to get first access to new releases, music videos, ticket info, and much more.